We are a Global Turnkey IT Solution and Technology Service Provider committed towards delivering innovative and quality solutions. With deep industry, business process and technology expertise, broad global resources and a proven track record, we collaborate with clients to help them become high-performance organizations. This plugin adds flexibilty of hiding and showing dashlet to users not on the basis of Role assigned to Parent module but to dashlet. 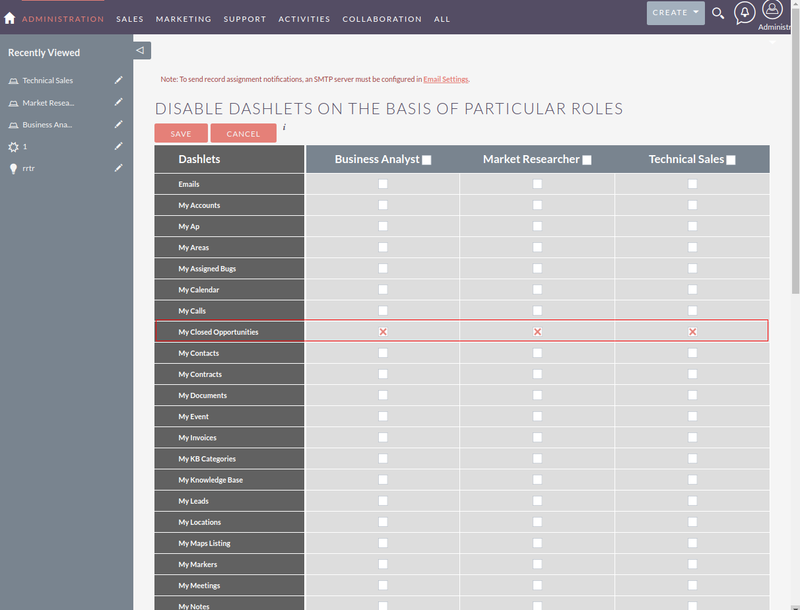 This plugin allow users to disable dashlets on the basis of particular roles.Users can easily disable dashlets by checking the checkbox from disable dashlet panel in Administration. 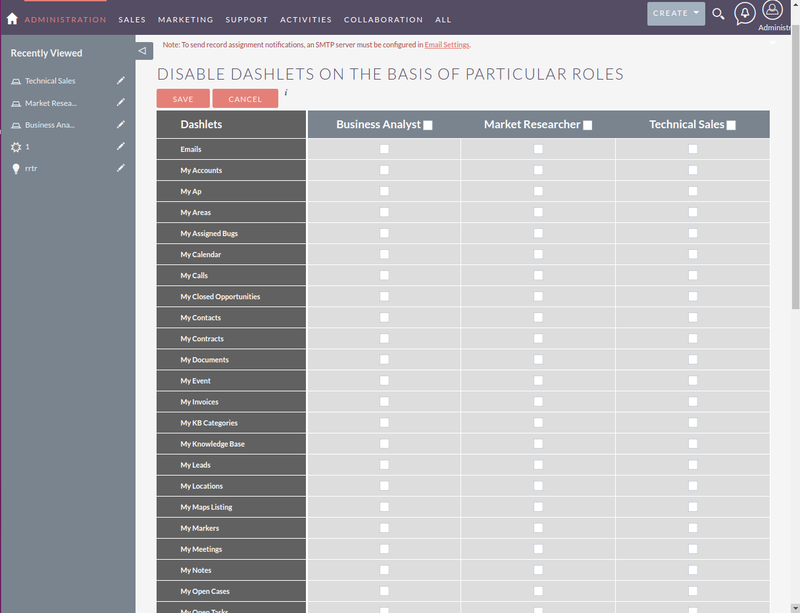 Dashlets and Roles works for custom module dashlets and custom dashlet also. Disable dashlets from Admin Panel.​ It includes custom dashlets also​ . 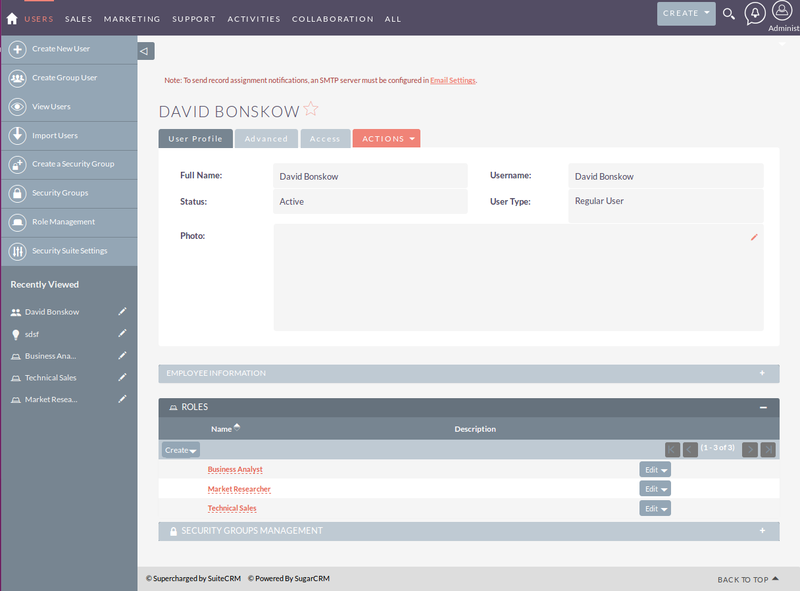 All the dashlets and Roles created in the system ,will be listed in Dashlet Configuration panel. 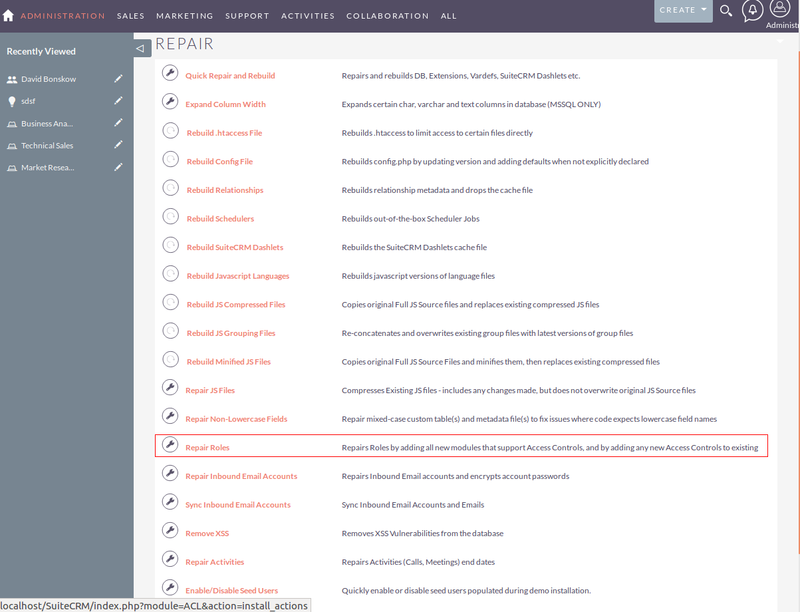 On checking checkbox ,particular dashlet will be disabled for particular role. By Unchecking checkbox ,Dashlet will get enabled. Now logged in form that particular user,to which assigned role is assigned. User will not be able to see dashlet in home screen or add dashlet panel. Below are some screenshots related to this plugin. -Login from Norrmal User to whom Role is assigned. My Closed Opportunity is disabled for User.